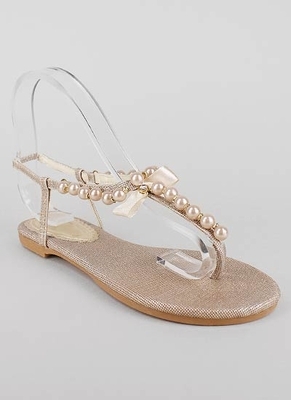 Kate Spade's pearl adorned Ivana sandal retails for $198 at Zappos Couture. Love these ladylike sandals but can't stomach the price? Go Jane has a great option which retails for a very budget friendly $16.30. They also come in black or silver and you can click here to purchase!